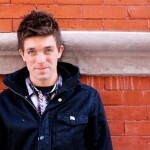 Jay Anderson serves as the Director of Ministry Expansion for PULSE. Jay grew up living in a different state or country each year until high school. Traveling with his family for his father’s work, Jay “inherited” the family business and travelled with the Billy Graham Evangelistic Association setting up festivals. As the lead for ministry partnerships, Jay uses his God-given talents to network across the country with ministries, events, bands, and speakers for PULSE. Jay lives in Minneapolis, MN with his wife Steph and their children.